In its final days the lines at Hot Doug's don't need a reason to get any longer, but they likely will starting tomorrow when Doug Sohn releases a three-years-in-the-making collaboration with Rob Levitt of the Butcher & Larder. It's a truffle bratwurst with foie gras, chicharrones, and herb dijonnaise. 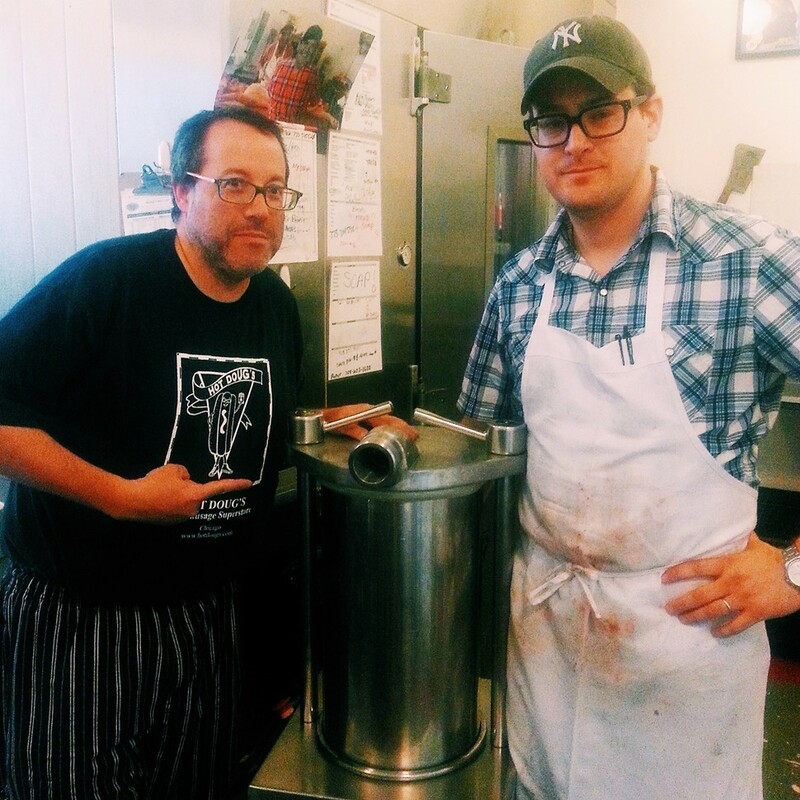 Levitt says each year when he and Sohn judged the Cochon 555 competition together, the fellow sausage slingers would scheme to "do something completely ridiculous and over the top." When Sohn announced the end was nigh, Levitt got on the horn and urged him into the shop. The result is a brat larded with truffles, mushrooms, thyme, and lemon zest, topped with Sohn's herb dijonnaise and a fried-to-order pork rind dusted with foie gras salt." "We got all molecular," says Levitt. It's $10 while they last, which won't be long—they only made 100 pounds worth.